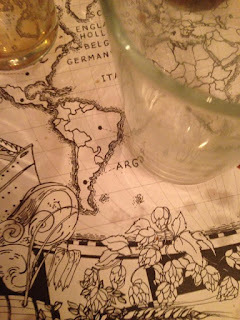 A couple of weeks ago, I went into Leeds as I was invited by the guys at The Botanist to an event. When I arrived in Leeds with Luke after college, we went to Trinity Leeds as I had some time to kill. We went on our phones and waited for the lovely Kariss to arrive. She met us at our normal spot which is Caffe Nero because I end up there at least once a week to either make use of their seating or to get a drink normally via O2 Priority Moments. The Botanist is a laid back and unique bar and restaurant that are dotted all around the UK. The bar alone stocks over 40 bottled beers and ciders. They also stock an amazing variety of ales and create some interesting cocktails! The restaurant has a deli menu sort of vibe going on with rotisserie and barbecue elements going on as well. They serve amazing things such as create your own deli boards and Hanging Chicken Skewers that are slightly dripping with delicious flavoured butter. 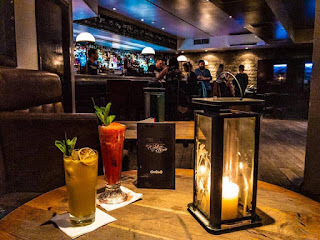 There is always some great live music within The Botanist which makes it the best place to go on a night out and as it's the sister to The Alchemist you already know that it's going to be amazing. We went down some very gardenesque steps into the establishment and waited for a woman to come up to us. Kariss sorted that out as I don't really do well when it comes to talking sometimes... She guided Kariss to the table which myself and Luke followed. We sat ourselves down at the table and ordered a gullible small Pepsi as I didn't think I would need it that much as the ales would be mainly drunk but I drink like a fish when it comes to either water/fruit juices/pop so I instantly felt like I should have ordered a large. I talked to Laura about some of the things and where we lived as we found out that one of her relatives or in laws live near me. Once we had finished talking, Kiran who was the host of the masterclass told us about what was going to happen. He explained that it was going to a masterclass all about the history of ales. 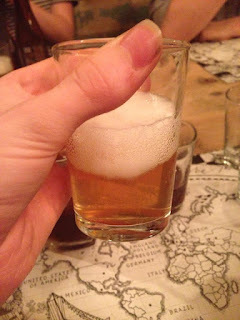 We would learn about all things ale/beer and learn that different ales/beer comes from different places within the world and what that does to the drink. 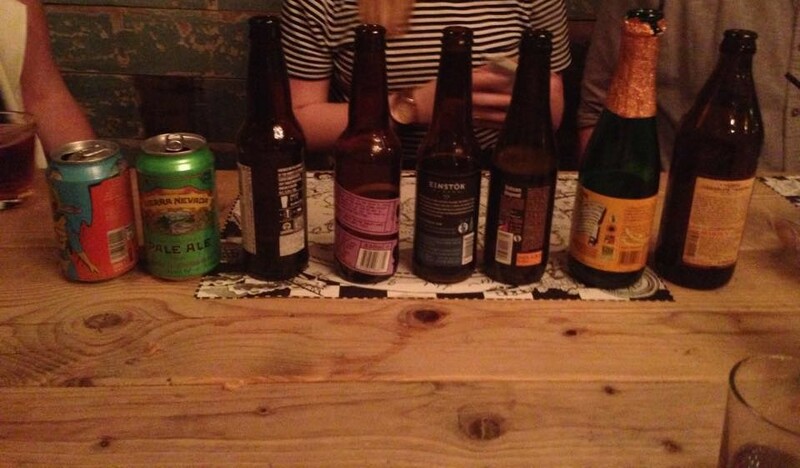 We would learn about some of the current trends which could mould the future of drinking. The first beer that we tried was Schlenkerla Marzen. Not the easiest of beers to pronounce but this one was the best one to start off with. 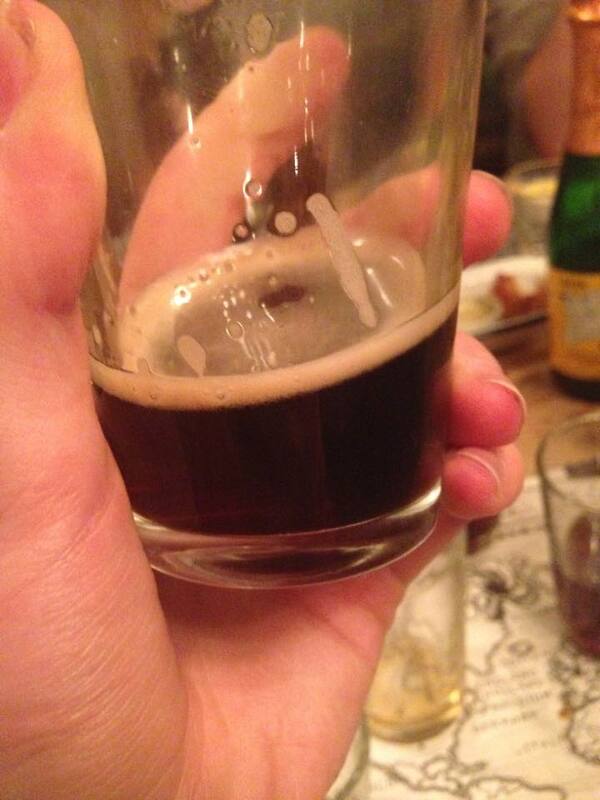 It was quite dark from what I remember and tasted quite strong. 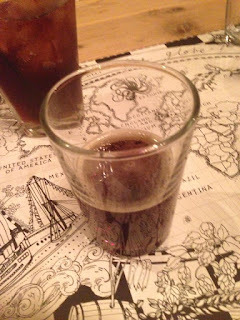 The aroma of the drink reminded me of BBQ sauce which sounds weird but would work well when enjoying a barbecue... It tasted quite strong but had a resemblance to Smoked Ham... I think this is one of those beers that you will love or hate. If you like dark chocolate or red wine then you will probably love this. I could only drink so much of this as the strongness was slightly a bit too much after a while. The second one that we tried Saison Due Pont. 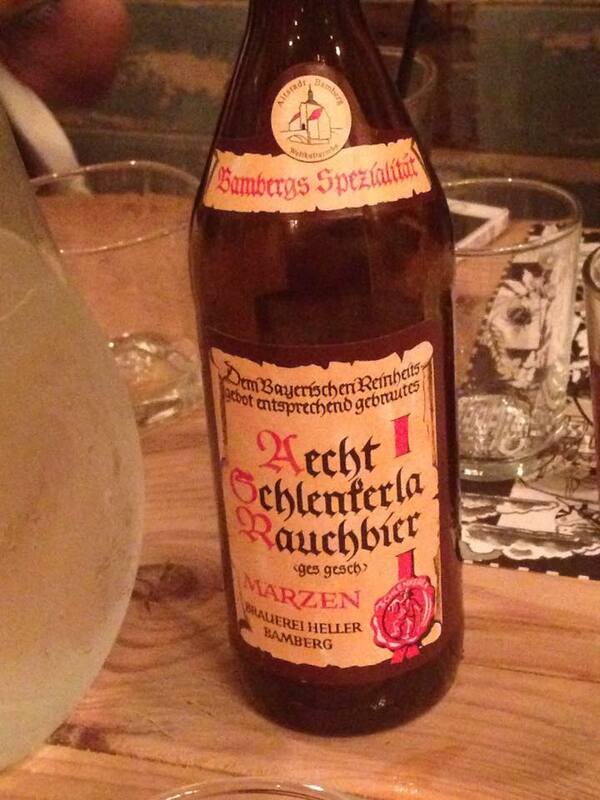 This one is Belgium whereas Schlenkerla Marzen is from Germany. 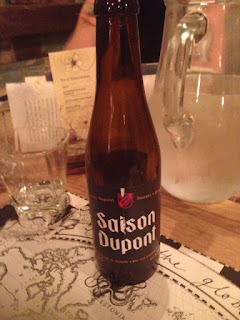 Historically, Saisons didn't share enough characteristics to pin down as a specific style so they were classed more as a group of refreshing ales. Each brewer made their ale slightly different and this one is based off the Dupont Brewery's classic. This one was quite light compared to the first one which I loved. If you're not a massive beer drinker then you may love this one too. 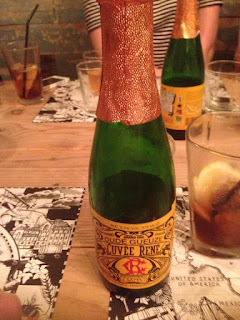 We then drank Lindermans, Cuveé Rene Gueuze. This one is also from Belgium. 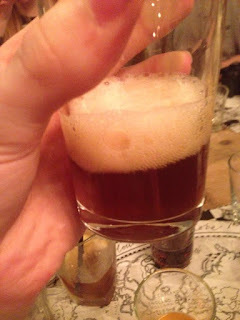 This one contains a mixture of old and young Lambic beers which are made via wild yeast which creates a sour flavour. It is considered to be the champagne of beer styles. 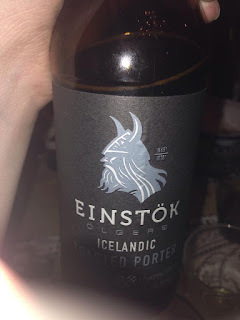 It was slightly too sour for my liking which meant that I couldn't drink a lot of it but you could tell that it had a spring to its step from the wild yeast. Einstock Toasted Porter was our next beer. This one was from Iceland. The beer has notes of dark chocolate and espresso which makes the drink slightly robust yet distinctive. I don't mind dark chocolate now and again and the same with coffee therefore I could drink a little bit of this one but as I said with the first one. If you love dark chocolate and things like that then you will love this one! A short trip to England was next! 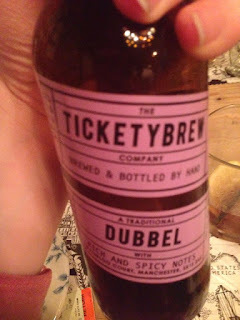 Ticketybrew is a Dubbel ale that comes from England. This one was created on Valentines Day in 2013 so you can tell that it has love pumping all the way through it. It had a nice taste from what I remember and I could drink a lot more of it compared to the first one. It's great to know that England are knocking up things of their own and not depending solely on imported drinks. Around this time from what I remember, food came out just to ensure that the palate could have some contrast in textures and flavours as the palate may be used to the taste of hops which is an essential in any ale/beer therefore the lovely staff brought around some delicious food which included Calamari which was crispy yet delicious which is sometimes hard to achieve. 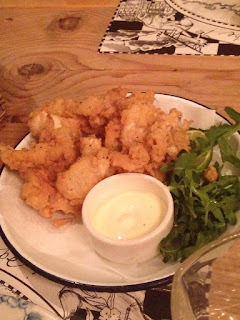 There were also Cumberland and Pork Chipolata's which were succulent and Salt & Pepper Onion Petals which were divine and crunchy! 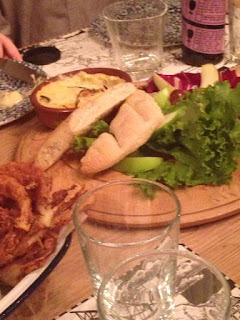 There were Camembert which I didn't eat because lactose and everything. The next one was Left Hand, Nitro Milk Stout. Yes you heard that right, Nitro Milk Stout. This one contains Lactic Acid which reacts with the air to give a milky finish to the drink. This one has notes of vanilla, mocha and milk chocolate. I decided to try a tiny bit of it and it was nice. It was very creamy and something I would drink every now and again if Lactose didn't react badly with me. The thing with this drink to make it Nitro is the way you pour it. You have to pour it straight down and let it flow as fast as it can into the glass to get a frothy head on the drink. Kiran was telling us all how many bottles have been wasted at the Leeds The Botanist branch due to pouring it incorrectly. The second to last ale was Sierra Navanda Pale Ale. Along with the Nitro Milk Stout comes from USA. Pale Ale used to be mainly a home brewers sort of thing but then slowly inspired bigger brewers to adapt this sort of thing and create their own pale ales. This particular one was pine and grapefruit aromas making it a light drink but with a little bit of character. I liked this one as it was quite light but made me think of sophiscated al fresco dining. The final one! 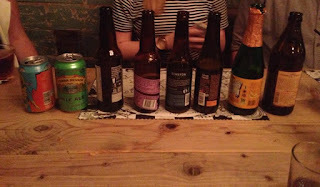 We ended on an English high with Gamma Ray from Beavertown. Gamma Ray has a bold name and with this name comes bold flavours. Slightly sweet caramel malt is the base of this drink which you notice at first but then after a few seconds ray guns come out and fire citrus flavours at your taste buds making it an amazing drink. I love citrus fruits and citrus flavoured drinks so this one was the best one ever for me. I want to drink this all the time and this drink is made for all the days when the weather is actually good and sunny. I didn't get much pictures to the end as my phone was dying so I hope you don't mind that. The masterclasses are £20 per person and it is worth every penny. I was talking to Laura and she said that the masterclasses are made for when people end up coming up to Leeds to visit family or when people come from cities near Leeds for many reasons and want to learn some of the Yorkshire culture or want to learn something and have a good time. I can't thank The Botanist for inviting me along to this masterclass as I learnt quite a bit. I'd like to thank Laura and Kiran for putting on an amazing night and coping with us bloggers with all of our cameras and taking photos (except me as I forgot my camera so I took my photos via my iPhone.) and thank you to Kariss, Faith and everyone else at the event. Have you tried any of the drinks mentioned above? If so then let me know down below. Have you been to The Botanist? Let me know down below. I hope that you have enjoyed this blog post and I hope to see you next time for another blog post.